Allies of President Donald Trump have slammed the Financial Stability Board, but Randal Quarles is a strong supporter. Putting the U.S. central banker in charge of the body that oversees financial regulation when Mark Carney steps down would help maintain global rules. 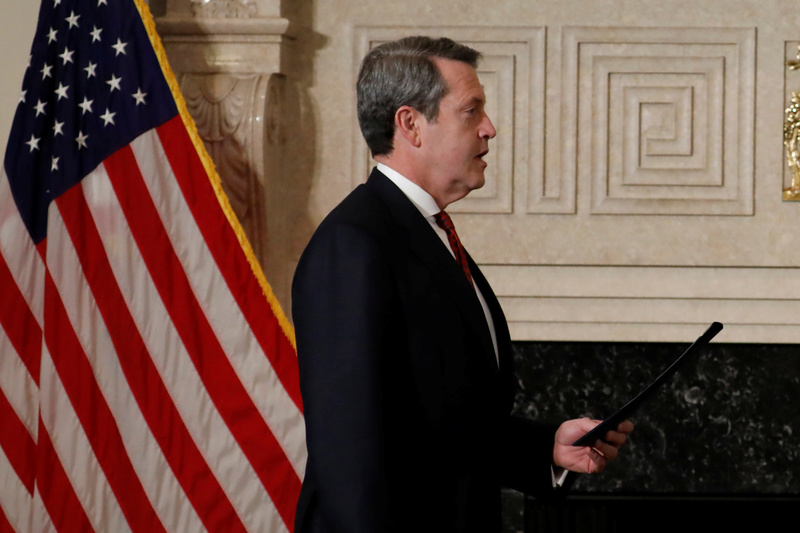 Randal Quarles, Federal Reserve board member and Vice Chair for Supervision, takes part in a swearing-in ceremony for Chairman Jerome Powell at the Federal Reserve in Washington, U.S., Febuary 5, 2018. U.S. Federal Reserve Vice Chairman Randal Quarles is one of the candidates to lead the global Financial Stability Board when Mark Carney steps down as chairman on Dec. 1. The body, created by members of the G20 group of nations, sets standards for global financial rules but does not have enforcement powers. The FSB chair is chosen from representatives of the FSB Plenary and is appointed for a three-year term, which is eligible for one renewal. The organization was established after the 2008 financial crisis and is the successor to the Financial Stability Forum.